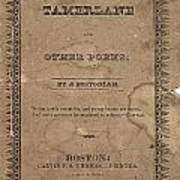 There are no comments for Cover Of Tamerlane. Click here to post the first comment. 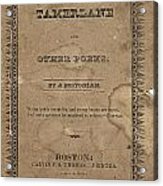 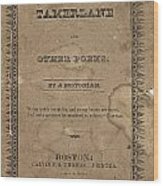 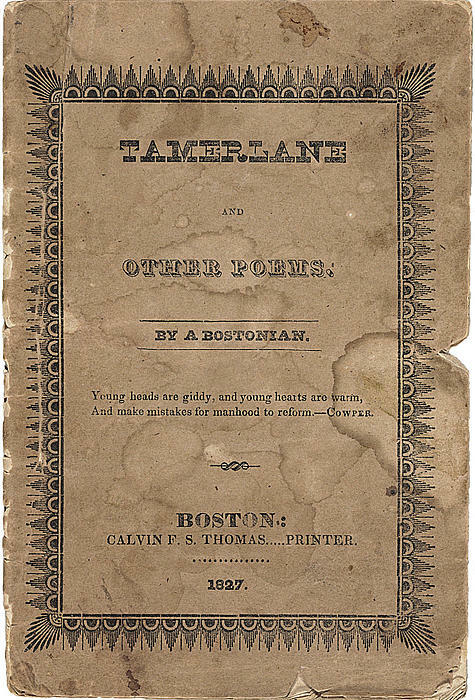 A print of the cover of Tamerlane the very first printed edition of poems by Edgar Allan Poe. 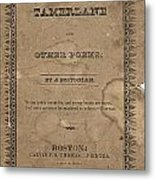 A copy of this paperback edition from 1827 will probably be worth in excess of $1 million.